Samsung to partner up with Olympus? Is Samsung considering a partnership with troubled Olympus? A Samsung source has said that the company is open to the possibility of an alliance with rival manufacturer Olympus. 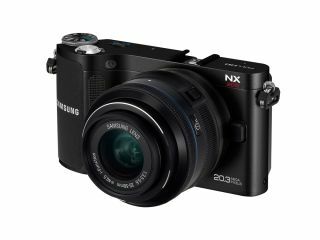 Although Samsung has previously declared it isn't interesting in buying up the Olympus camera business, it is considering a partnership with the company in other areas. Olympus is currently considering an equity tie-up with five candidate companies which include Sony and Panasonic, according to the Asahi Shimbun newspaper. Recently, times have been troubled for Olympus, which has been rocked by scandal over the past few weeks. Starting with the dismissal of its CEO Michael Woodford after he tried to probe into accounting discrepancies, years of hidden financial activity has been uncovered, going back as far as 1990. Rumours have been circulating that Olympus will sell its camera division, which is not its most profitable operation, with suggestions of a partnership with several rival firms. Although Samsung has declared an interest in other parts of the business, it does lead to further speculation about who would be a likely candidate to buy up Olympus' camera division should it decide to sell. Panasonic would seem like an obvious choice, as both companies share the micro four thirds format, while a potential partnership with Fujifilm, which has just launched the X Pro1, has led to excitement in some sectors. The anonymous source speaking to Reuters did not elaborate on details of an alliance, while a Samsung spokeswoman said that the company had not received a "detailed offer" from Olympus regarding a partnership.